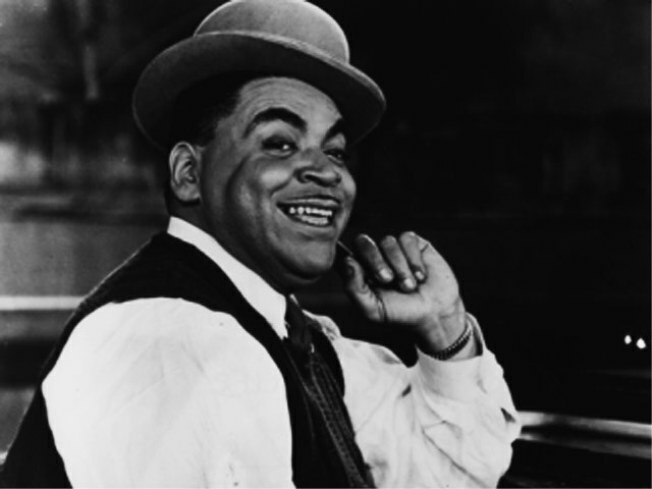 Fats Waller gets a hat-tip at Jazz at Lincoln Center. IN STRIDE: Ben Vereen hosts (and performs) as Jazz at Lincoln Center fêtes the music and wit of Thomas Wright “Fats” Waller with a Hall of Fame evening featuring stride piano from Ehud Asherie, Ben Wolfe on bass, hotguitar by Doug Wamble and others, bringing Waller’s exuberant tunes—“Ain’t Misbehavin’” front and center, we’d wager—to life. Rose Theater, 8PM (also on Saturday). NORTHERN LIGHTS: Rooftop Films & Music Doc present Cool & Crazy, a night of Scandinavian-bred sounds and sights. First, you get a live set from the amazing Hanne Hukkelberg (whom we’ve frothed about before, so no excuses), then an under-the-stars screening of Knut Eric Jensen’s buzzy documentary “Cool & Crazy” – a.k.a. “the Arctic Buena Vista Social Club”-- about members of Norway's Berlevag Male Choir. Open Road Rooftop, 7:30PM. EX MARKS THE SPOT: And finally, after weeks of celluloid face-off between the careers of filmmakers Kathryn Bigelow and James Cameron, the IFC wraps their battle of the exes with 1984’s “The Terminator,” about a future run by machines and Arnold Schwarzenegger in leatherdaddy gear—giving Cameron the last word (for once). Friday and Saturday’s Waverly Midnights at 12:10AM.